WEDNESDAY, May 18, 2016 (HealthDay News) -- Triclosan, an ingredient used in some antibacterial products and toothpaste, is a dirty word in certain circles. But triclosan might not cause the harms that some fear, new research suggests. "There are a lot of people who are fearful of triclosan, but we didn't find anything to support that concern in our study," said principal study investigator, Dr. Julie Parsonnet. The small study, funded by the U.S. National Institutes of Health, found triclosan doesn't dramatically alter the microbiome of the gut or the mouth, or significantly affect the endocrine system. In the early 1960s, triclosan was introduced in a wide range of cleaners and personal hygiene products. The chemical was so prevalent that by 2008 it was detected in 75 percent of human urine samples, the researchers said. More recently, chronic metabolic diseases, such as diabetes and obesity, have been linked to changes in the human microbiome -- the trillions of bacteria and other microbes that naturally dwell in the gut, the study authors noted. Scientists have become concerned that widespread use of triclosan could have negative effects on the human microbiome and also contribute to antimicrobial resistance. Parsonnet, a professor of medicine and health research and policy at Stanford University's School of Medicine, and colleagues set out to investigate triclosan's effects on the human microbiome. The investigators randomly assigned 13 healthy people to use household and personal care products with or without the ingredient. After analyzing participants' blood, urine, stool and oral samples, the researchers found that use of products that contained triclosan were linked to greatly increased levels of the agent in people's urine. Triclosan, however, had little effect on the endocrine system, which influences almost every cell and organ in the body, or the microbiome of the mouth or gut, the study authors said. "We found that some organisms were changed a little bit, but there was no major blow to oral flora or gut flora," Parsonnet said in a news release from the American Society for Microbiology. She said the study "should be reassuring" for people who are very fearful of triclosan. "When you throw most antibiotics into humans, they are an atom bomb on the microbiota, but we found that when people are exposed to triclosan through normal household products, it does not cause a major blow to our microbial ecosystems," Parsonnet said. 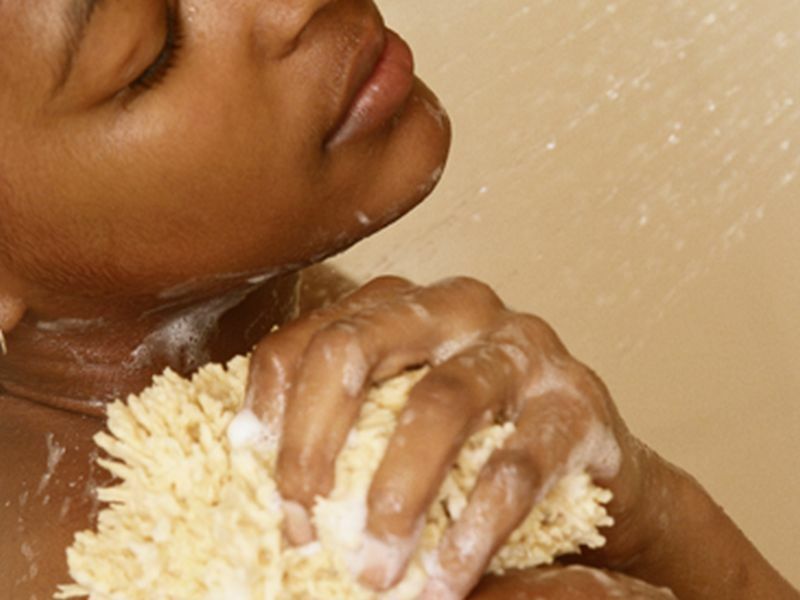 In 2013, the U.S. Food and Drug Administration proposed requiring manufacturers of antibacterial soaps and body washes to prove that products containing triclosan are safe and more effective in preventing illness than regular soap. Since then, triclosan has largely been removed from soaps sold in the United States. But it's still found in certain cleaning products used by hospitals and some toothpaste, the researchers noted. The study results were published online May 18 in mSphere.